I just wonder how much exercise do people give every day to their shiba inus. 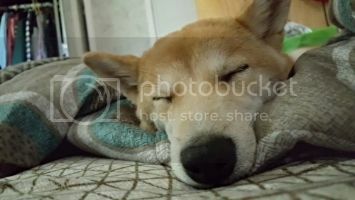 I have 7 month old shiba inu, Takumi and I try to take him outside for about 2 hrs late afternoon every day to walk, run, play with a ball and socialize with other dogs, etc, which makes me exhausted, too. lol When I first got him, someone told me shibas need long, frequent walk. Is that true? Please tell me about your dogs regarding the matter above. THANKS! Shiba's are very energetic dogs, so they need a good amount of exercise to keep them happy. If you stop exercising him everyday, you will notice he will get bored and start getting distructive. Most people who have problems with dogs who chew a lot or are distructive inside the house is simply because they don't give them enough exercise. I was wondering the same thing a few weeks ago. I would walk my dogs 2 times a day around my block, which took about 30-45 minutes depending on how much of the walk we jogged. My dogs would be really tired after the walks - to me...I thought it was only 1 mile. So i started getting worried that my pups were super out of shape or something. So I got in my car and drove around the block and its actually a 2.3 mile walk. So they were getting a good 4 miles a day and I also started doing 15-20 minute short walk/training session during the afternoon ever since I started working from home. The afternoon training seems to really poop them. My Behaviorist said 15 minutes of training = 1 hour at the dog park. Seems like it's true. Last week it was burning hot so I was only walking them late at night. I noticed a huge difference without the exercise - Ninja actually chewed 1 of my brother's ps3 controllers as well as a bunch of other crap. Portia and Ninja both ruined my brother's ugg's shoes. They tore out the inside liner and ripped off all the fuzz. I had to buy him a new controller and now I have to buy him $100.00 shoes. They haven't chewed anything they weren't supposed to in months up until last week. If they get their regular daily dose of exercise, my dogs usually sleep most of the day. They will chew on toys and play with eachother for a couple hours, but i'd say about 75% of the time they are sleeping - when inside the house. It would also be good if you could split up the 2 hours in one walk into 2. 1 in the morning before you give him his breakfast and 1 at night before you give him dinner. ditto what romi and ryu said - until we walked tsuki TWICE a day for 45 mins- 1 hr each time, i started a shoe grave yard.. but now she seems content and just lounges most of the day, an occassional toy play or the zoomies after walks, and we hike or do the dog park for extended time on weekends but they are all content with our plan! Lucy and Joey get 3.5-4.5 miles of walks every day. We divide it up into 50-60 minutes in the morning and 20-40 minutes in the evening. I have a ton of different "routes" that we take and I try to randomly pick one for each day. Some are slightly longer than others which accounts for the variation. I try to take them to the dog park at least once a week, but usually shoot for twice. When we go, its generally for 1.5-2 hours and it is usually in place of their evening walk. On weekends I like to take them other places as well...hiking, to a human park to walk around, to walk around downtown, to off the beaten path pet stores, etc. I have never had a problem with them chewing anything they weren't supposed to (except for once when I was out of town for a week and my roommate was taking care of Lucy). When we are home, my dogs typically lay around and do nothing either. Usually on the couch or the dog bed, sometimes on the hardwood floor if they are hot. They play with each other in short spirts of 20-30 minutes once or twice a day, usually after some stimulus like going out for a potty break or being fed. Occasionally, since Joey is younger and has more energy than Lucy right now, he'll quietly amuse himself with a toy while Lucy naps. Also, as Romi pointed out, boredom leads to destructive behavior. If you notice your dogs just laying around, that's a good thing! It doesn't mean they are bored, it just means they are content. As JessicaRabbit pointed out once, dogs are predators and in the wild they need all the energy they can get for hunting. Thus, in between hunts, they lay around to conserve their energy. Made a lot of sense to me when she mentioned it. Dave-Thanks for the credit on the predator thing. I still stand by that. As far as how much exercise, All 3 of my dogs go on a 4 mile walk in the morning between 6 and 7am. And then a five mile walk around 5:30. In addition to that the two younger monsters (Miko and Moto) get at least 2 hours of solid "run around" time every day. No exceptions. I say it all the time, a good dog is a tired dog. Q. How much exercise does a Shiba require? A. They love their exercise and will walk or run for as long or far as you can take them. The Japanese believe that once over the age of 6 months old its impossible to give a Shiba too much exercise. I need to change my sleep habits and make more time for my dog. I only walk him 5 days a week for one hour each day, Im going try to start to wake up early everyday and try to walk him 20-30 minutes in the morning. It hard cause I have to leave for work by 6:30 in the morning. Also I think it good if you since him up for classes at petsmart or petco once a week he can learn new tricks and be around other dogs. so you work his body and mind!!!! Thanks to all for excellent answers. 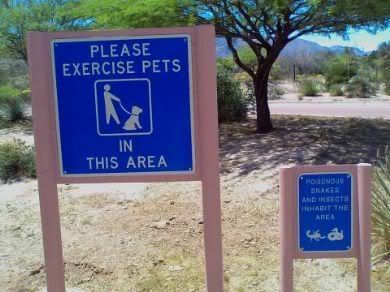 I am surprised you all really give your dogs plenty of exercises. I should keep on doing at least 2 hrs walk every day for Takumi. It's good exercise for me too. Takumi does not chew on things too much in the house so far. I believe he gets enough exercise, then. I will take Takumi to the beach someday soon too. Let's see if he is willing to swim....at least I already know that he loves to play on the sands and dig a hole! Again, thanks everybody!! I am glad that I found this forum, since there are so many knowlegeable peope here. I could only wish I could provide that much exercise for my Shiba. We are in the dog days of summer here in Atlanta and the air is so thick, just too hot to walk for such long periods, for me and him. We usually do a 20 minute walk in the early AM, and then most of his exercise is at day camp. This fall, we will definitely being doing 5 miles on weekends, but probably not during the week. Wow. I wonder if that was intentional or an unfortunate coincidence? I take Mylie on hour long walks/runs every night & play fetch in the back yard or throughout the house for a few hours each day. She's only just under 4 months old and it's near impossible to tire her out, but she's usually ready for bed when I turn off the lights at night. While she was recuperating from being spayed & I couldn't exercise her, she became very irritable and destructive. Tonight we regained our walking/running routine and the little girl is currently pooped. I can almost guarantee that in a few hours she'll have all her energy back again and we'll have to play to tire her out for bedtime. As soon as she gets better on the leash, I plan on taking her with me on my morning runs, and weekend hikes. I still feel as though I can't give her enough exercise, but with my time restraints, and being exhausted from my strenuous work day, I sometimes have a hard time keeping up with her. I would say at minimum a shiba should get 2 hours worth of walking or other forms of exercise a day. Great if you got more in. I take my 5 month old Shiba for about 30 minutes of walk in the morning. Based on all the posts here, I need to increase his walktime quite a bit. At what age shiba pup is good for long walk? Vet said to take it easy for 6 months so that he does not develop any bone/hip/joint problems later. If you take 7 month puppy for more than 1 hour walk every day as some of you do, isn't it too much from health perspective? What did your vet say? But one thing is sure, Frost likes his walks and new smells and meeting other people and dogs. Then he is happy at home. when Tsuki was 7 months old, we got the OK from the vet to start pushing her a bit more, she has grade 1 LP so we were concerned with her too. But she's been doing our full walking regimen ever since, and I would contribute that (and her supplements) to her great health and vitality. I've heard in conversations and read conflicting information about too much exercise for young dogs. I think one thing is clear, too much jumping around, up and down from furniture, etc. is a bad idea. As far as walks go, the philosophy I've gone with is let them tell you when they'd had enough. Joey started doing the full walking regimen with us around 4-4.5 months. Before then, I would pick him up and carry him on our walks when he showed signs of being tired. Ultimately, it comes down to what you are comfortable with. If someone you trust has told you that limiting walks is a good idea, then go with it. In my case, the people I trust most told me it wasn't a concern in Joey's case. You do want to be careful about energetic play though. Too much jumping and twisting can cause problems for sure. My philosophy on how much exercise is too much is to let the puppy tell you and do what comes naturally. For instance, it's natural for puppies to wrestle and play with each other and puppies have been doing it for centuries, so that type of exercise or the equivalent is ideal for pups, in my opinion. Another thing, dogs evolved to walk and run on dirt, not concrete, so I've always tried to take that into consideration. Not that you shouldn't ever walk your dog on the concrete, but I feel better letting my pups jump and play on grass or dirt rather than a hard surface and when I lived in the city, I encouraged Tojo to walk on the grass beside the sidewalk until he was full grown. I also encouraged him to walk on the grass because I figured the sniffing around and exploring within the limits of the leash was more fun and mentally stimulating than just walking in a perfect heel the whole time. Oki is 4 months old and has been able to go out for walks for 2 weeks now. He gets a 10 minute walk just after 6am so he can relieve himself before we go to work. He does seem to hate this walk! He'll go straight to bed to rest again when he comes back, we expected him to want to play for a while in the mornings! Gives us time to shower and eat breakfast then I play fetch / tug etc with him for 20-30 mins before I have to put him away to go to work. Half way through the day he gets an hours playtime with a dog walker that comes round (she doesn't walk him yet) then I take him for a 30-45 minute walk round the park when I get home from work. He seems pretty chilled out at home after that. We do have quite a few games and training sessions over the course of the evening then he seems fine about going in his crate for the night. Soon we'll have the garden all dog proof so we can let him out there for a good run around. The weekends are usually a little less structured; we always go out for a 45-60 minute walk plus the short morning one but usually end up also taking him to the pub or visiting friends / family or just a jaunt down to the pet shop for some socialisation. I am expecting to increase have to increase his weekday walks to about 30 minutes first thing and 1.5 hours or so when I come back from work, and some much longer walks at the weekend (and Wednesdays as I have that off). His current regime seems to work well for him. He's usually pretty easy at home and when he decides it's playtime he only ever concentrates on his own toys. I'm aware that as he grows up we will probably see undesirable behaviour, and we'll up his walks accordingly. I hope that the amount we give him currently doesn't put his joints at risk. I'm not sure how much is too much at this age, but energy-wise this seems to work for him. Great older blog post by McConnell that she put up on Facebook today. I think EVERY dog owner can relate. I think it's extremely important to remember that exercise doesn't only mean physical, but also mental. What can I do about exercising in the winter, I walk Max around our area some days more then others obviously because of the weather. We walk for about an hour in the morning when he comes back inside from doing his morning business. In this single digit weather I walk him just fine but not as far as I usually do, so how can I make up for it at home without him getting bored.